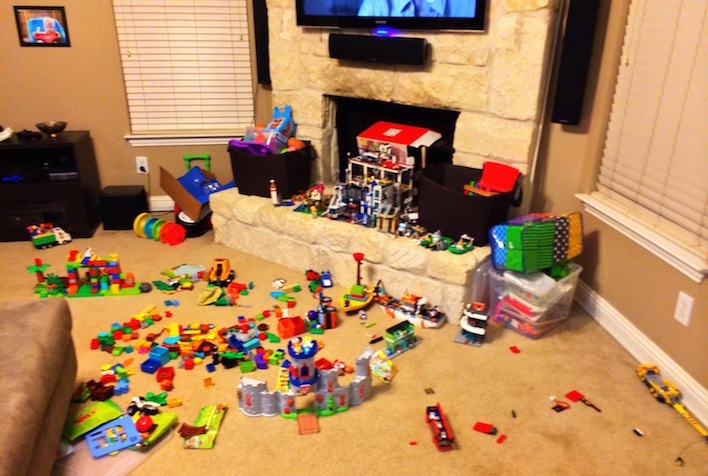 A Floor Full Of Legos And Duplos! My wife is in Italy this week with her mom for a fun-mother-daughter-vacation-before-we-have-our-second-child-trip which means Noah and I are home alone! She’s only been gone for a few days (she left Saturday) and we miss her like crazy! But I’m glad she’s getting a chance to spend some quality time with her mom this week! She really deserves it! The picture you see above is the aftermath of tonights lego adventure. What looks like a mess to you is actually a great reminder of how full of joy my heart is. I love being a dad. I love being Noah’s dad. This kid has absolutely captured my heart, and I love how much fun we get to have together every. single. day. My life is a million times more fun because this little boy is in it. Headed to bed with a messy living room, and a very full heart. What kind of toys does your child enjoy playing with? Leave a comment below and tell us about it. noah is such a brave and happy boy. he brings a ray of sunshine in everyones heart. cant wait to see how he gets on with the new addition of the family when it arrives. Thanks for the kind words! It will be fun for sure! Not a mess! A labor of love that will continue to grow tomorrow. Amen!!! 🙂 Thanks for your comment. Your statement, “This kid has absolutely captured my heart, and I love how much fun we get to have together every. single. day.” really sums up life with a child with DS. Most of the time these kids are happy, loving, and just plain fun to be around. Keep playing and learning together! My brother was also into duplo from an early age. Now at the age of 28 he has been collecting scalextric for the past 6 years. He has always enjoyed jigsaw puzzles, and has consistently been increasing the number if pieces in each subsequent jigsaw he asks for at the shop. That’s awesome, thanks for your comment! I actually had to google scalextric, they look awesome! Noah REALLY likes cars, and I can’t wait until he gets old enough to play with race tracks like this. I think we’ll have a ton of fun together doing that. I also can’t wait to have a train set with him some day! Seeing pics of Noah and your post always brings joy to my day and a smile to my heart!! Thank you for sharing your beautiful baby boy with us! And Congrats to you all on the new baby boy!! Thanks so much for the kind words! He’s a joy to be around for sure! I need to remember this about our messy, toy-filled living room. I’m trying to get Little Man to understand that he needs to pick his toys up but he gives me the confused dog head-tilt. Silly boy. I do, however, get him to pick up his Duplos and Legos. He’s pretty good about that. His other toys, yeah…no way. Also, he loves books and my iPad. Oh yah, Noah is a HUGE fan of his iPad also! What are some of your boy’s favorite ipad apps? He loves all of the Angry Birds ones (not that he really understands what he’s doing). I do have a couple of other ones he seems to enjoy like PBS app and….shoot, I can’t remember what it’s called. It’s by Agnitus. It’s pretty fast-paced, which is what he needs because he doesn’t sit still. Ever. He also loves finding things he likes in Netflix and YouTube (usually it’s Angry Birds videos or Donald Duck). Thanks! And Thanks for your comment. How old are your children now? 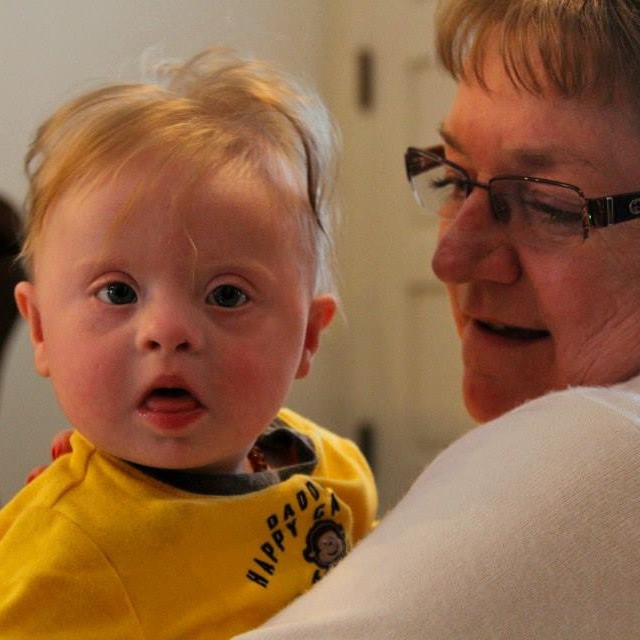 And do you have a child with special needs / Down syndrome? Wow, how interesting it is when God works thing together like that! So you guys were watching our videos before you had a Down syndrome diagnosis? Do you remember how you found our videos in the first place? How is your son doing? How are you guys doing? I have determined that Noah and my daughter, Arianna, are twins separated by birth and a couple of years (she’s 6 1/2). She is a waffle fanatic and a duplo/Lego “master engineer. I really enjoy your blog posts and pictures on Facebook. I am the grandmother of a 6 month old boy named Sawyer. He also was a surprise to the family. We didn’t know he had Down syndrome until he was born. He is thriving! And he is so so cute! My husband and I live in Garland, TX (not so far from you!) and Sawyer lives with his parents in Monterey, CA. We went to visit him just a couple of weeks ago. It was the first time since he was born so it was so much fun to see so much personality, and be able to hug and kiss him! 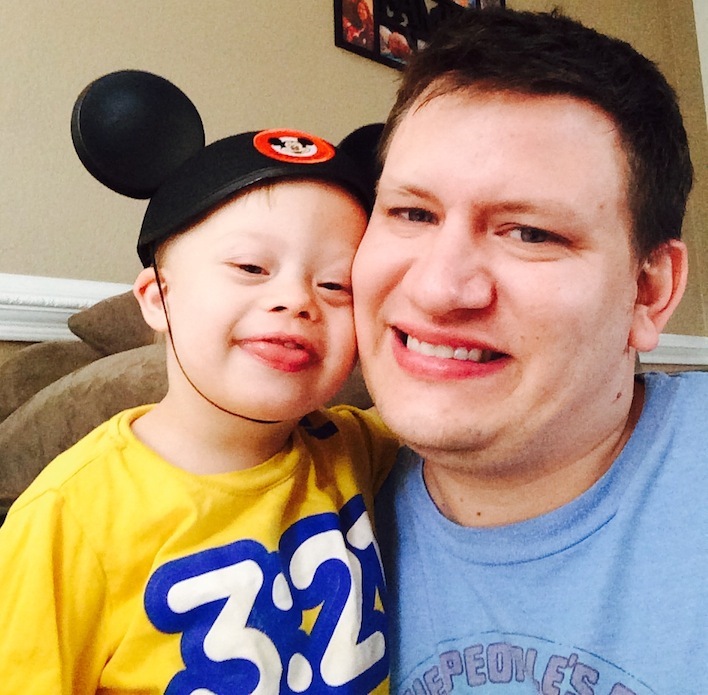 What I am really interested in is if you have a team for the Buddy Walk in the Dallas area. My daughter has signed them up for the Buddy Walk in San Jose to which I have contributed. But I was wondering if you had a team here. I am attaching a picture of me and Sawyer taken Sept 19th in California. God Bless you and your beautiful family….and the new son! Does you get the chance to see your grandson very often? Do they have any plans to visit Dallas any time soon? Noah just keeps getting cuter and cuter! Our daughter with DS turned 12 in July – she makes us laugh every day. I do a Christmas music series on my blog every December, and this year I decided to try my hand at making my own videos – this one accompanies Day #20’s selections. Thanks for the kind words, and great work on your video! I didn’t know you were from Ft. Worth, we’re from the DFW area as well. In fact, did you know there is a big Down Syndrome awareness / Fund raising event going on at the Stockyards today?